Leather sofas are considered expensive pieces of furniture, so if you own one, you should be familiar with the cleaning specifications you have to adhere to. If you have noticed some minor damages or the overall condition of the sofa is not particularly appealing, don’t hesitate to contact us and the factory look will be restored in just a few hours. What we offer is a professional leather sofa cleaning service, available for W11 Notting Hill residents. 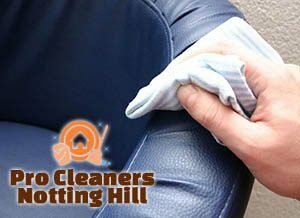 In order to restore the good condition of the sofa, you have to carry out regular maintenance procedures, but the truth is that the fantastic results can be achieved only by professionals who have completed hundreds of leather sofa cleaning projects throughout Notting Hill and London in general. 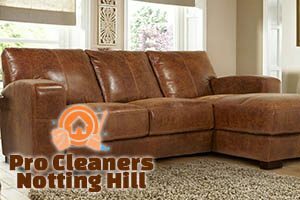 Our leather sofa cleaning services are known for their excellent quality and reasonable prices. Each cleaning procedure we carry out consists of several components performed one after another and aimed at ensuring the fantastic end results. Although the protector is not a mandatory component of the leather sofa cleaning process, it prolongs the lifespan of the furniture and fills the cracks and prevents spills from absorbing into the leather. If you are determined to enjoy your comfortable item of furniture for the years to come, don’t wait and contact us. 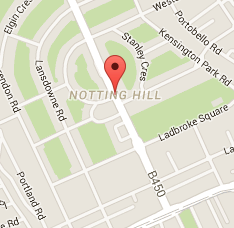 Our cleaning teams operate in W11 London seven days a week. They have flexible working schedules, which enables you to choose the most convenient to you day and time for the service to be delivered. Contact us now and get your unbeatable free quote as well as additional information about the essence of the service.